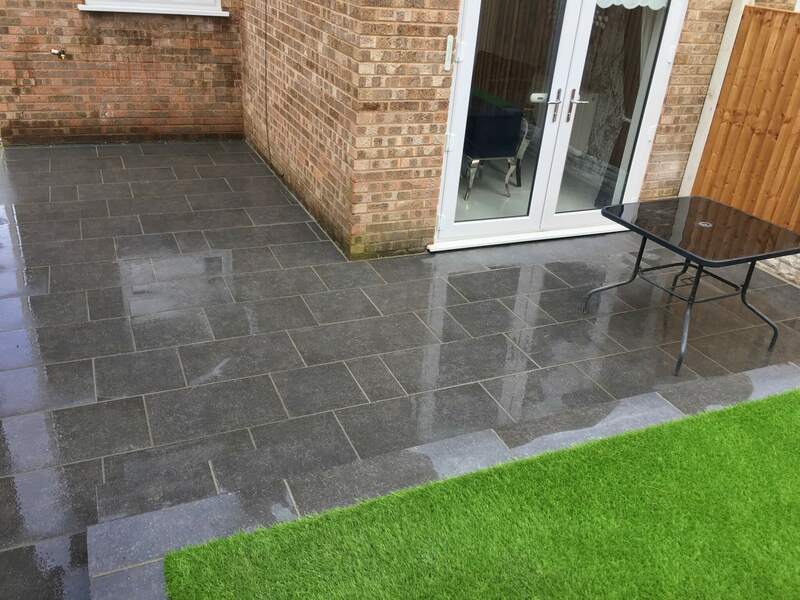 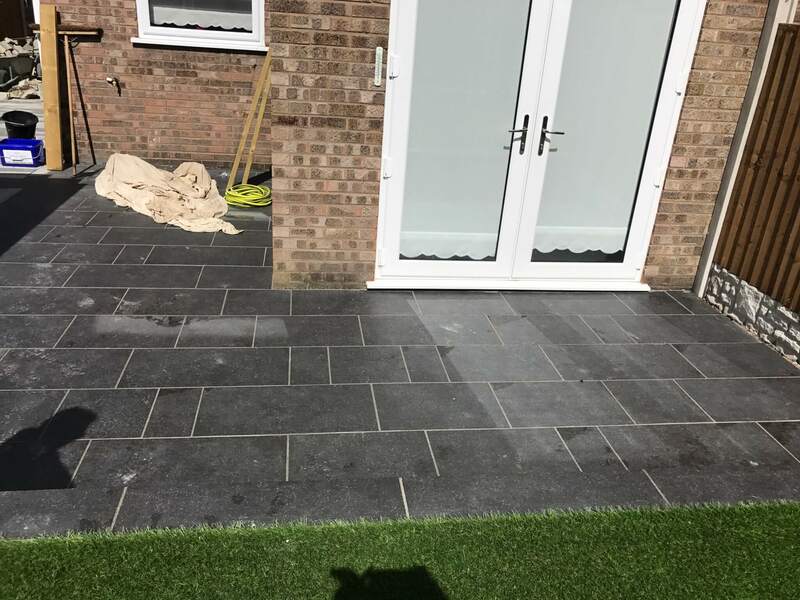 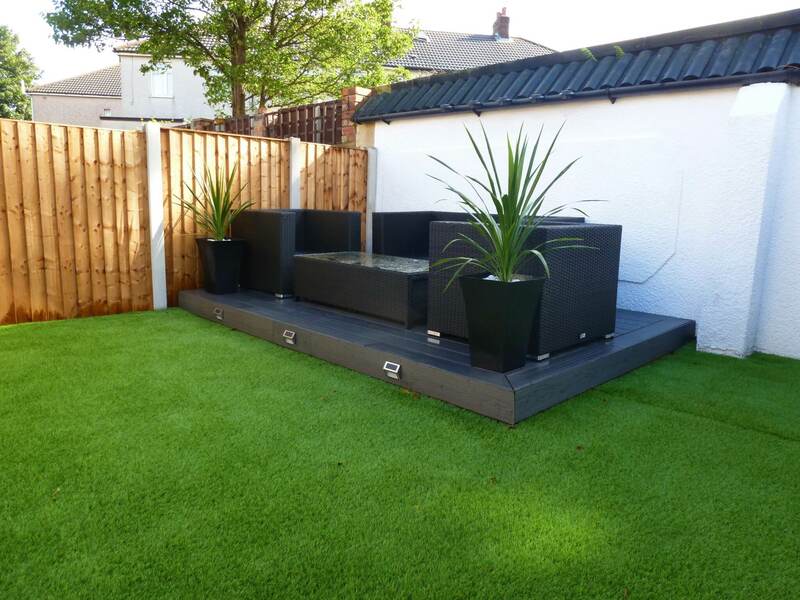 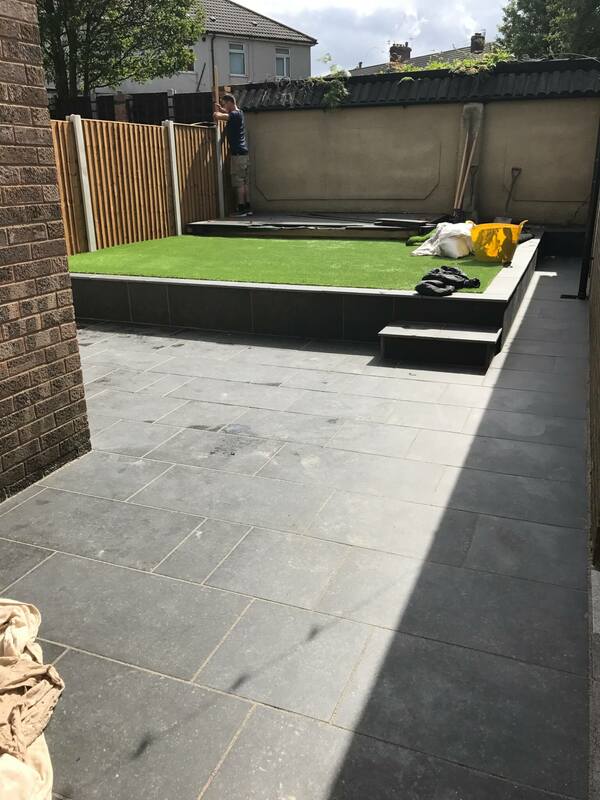 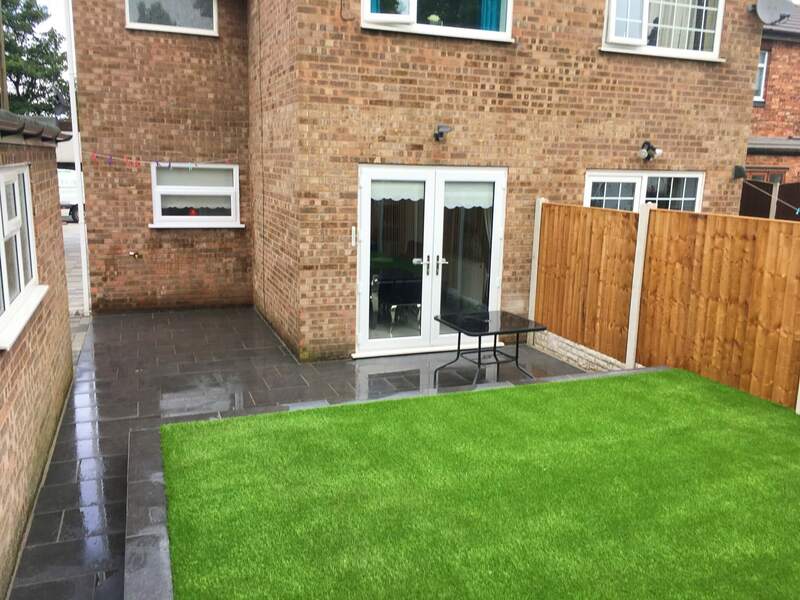 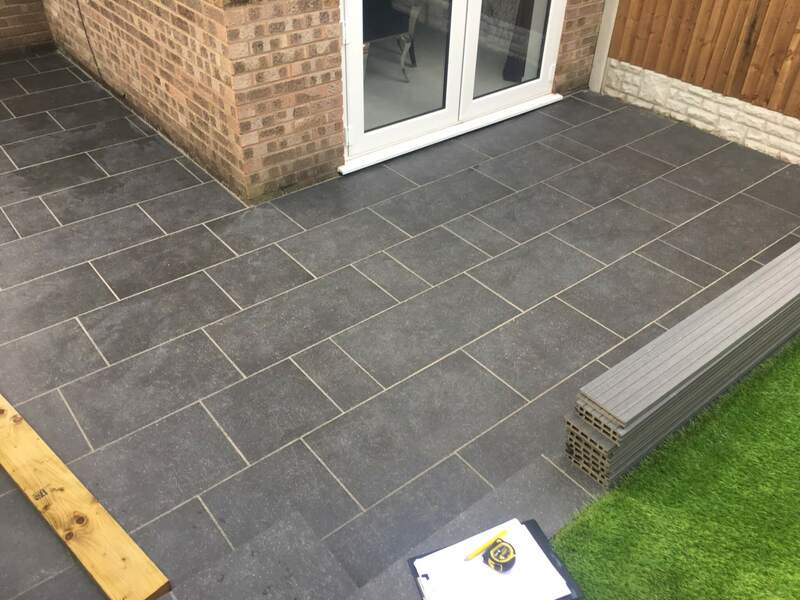 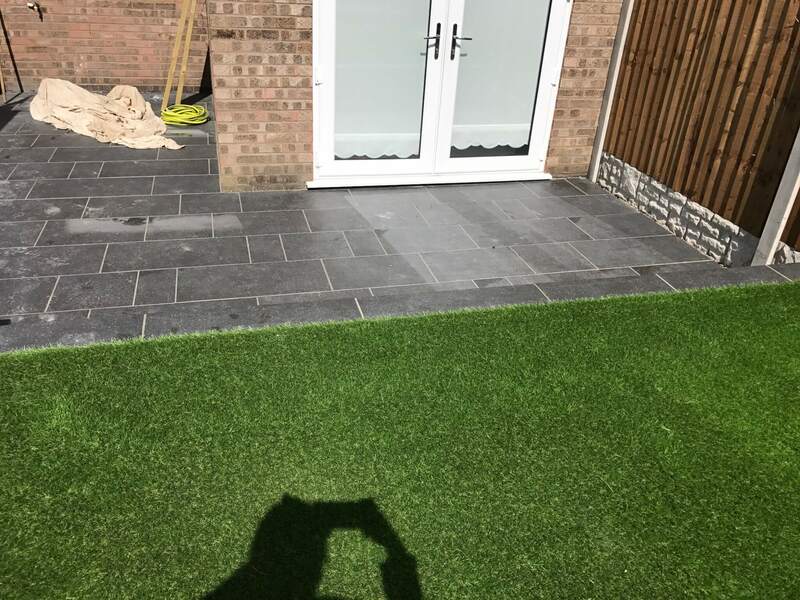 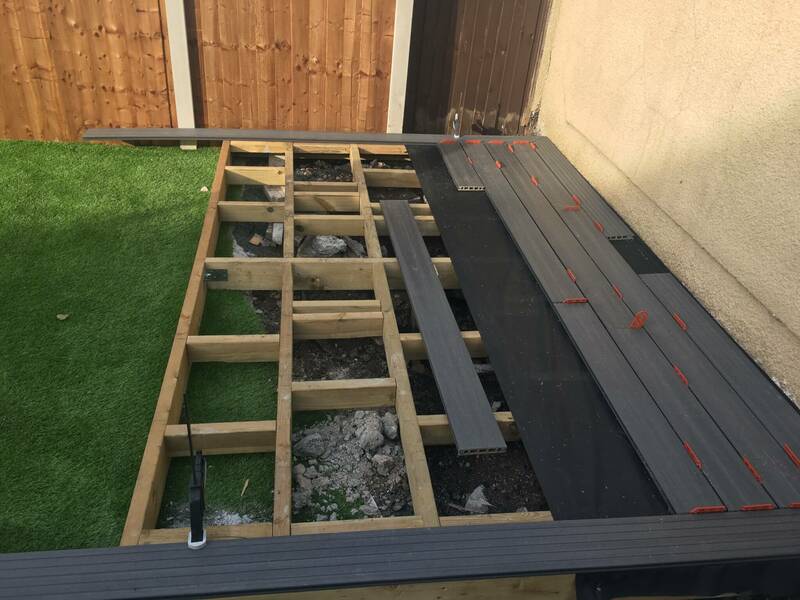 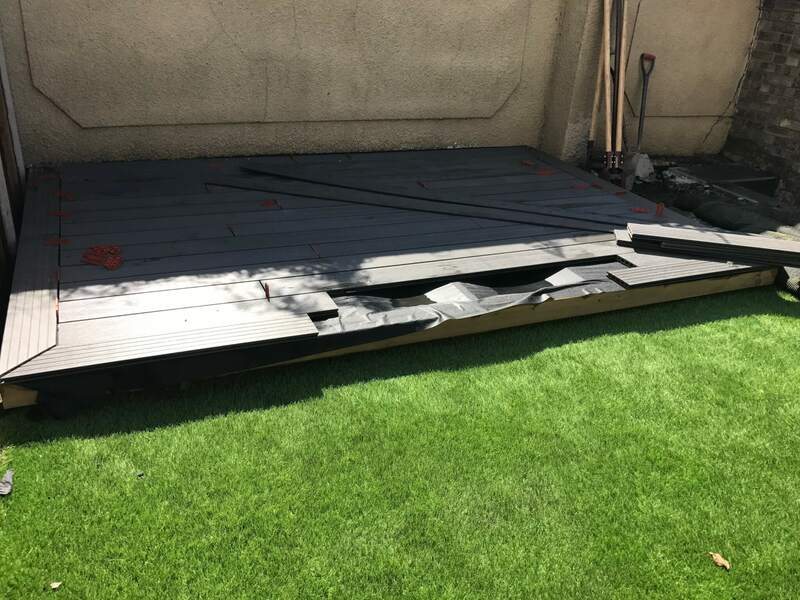 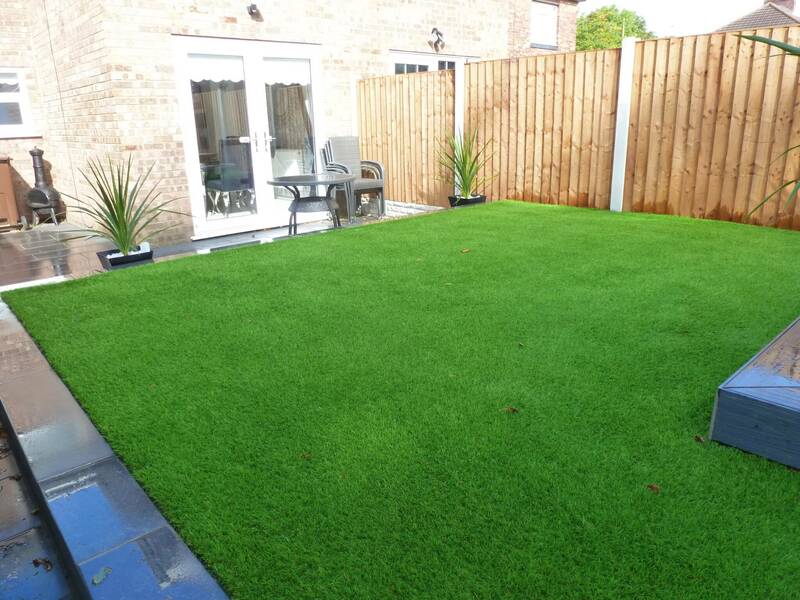 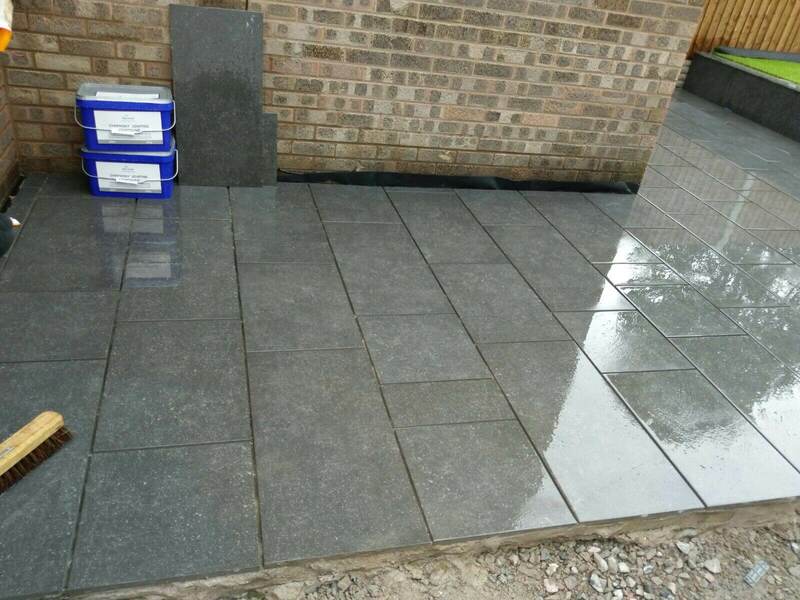 This project was to install Marshalls Symphony Vitrified paving in Blue colour to create patio areas with composite decking and artificial grass. 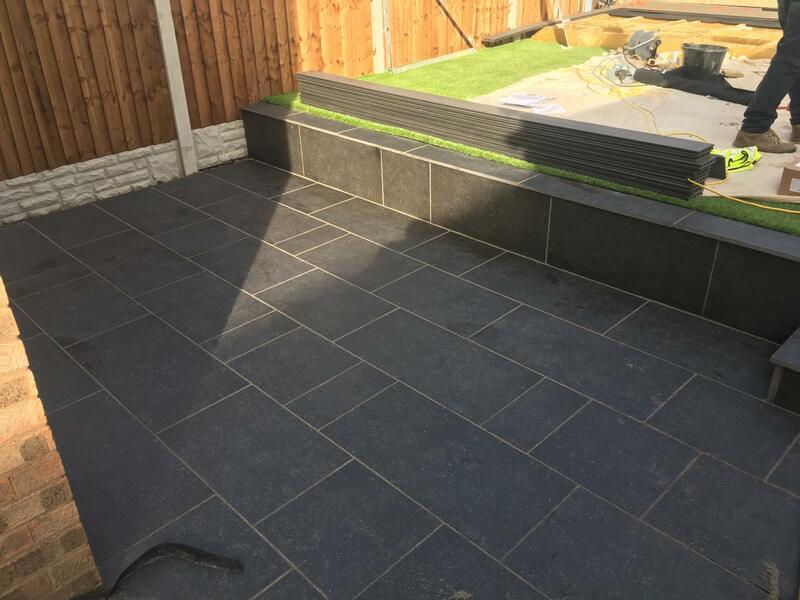 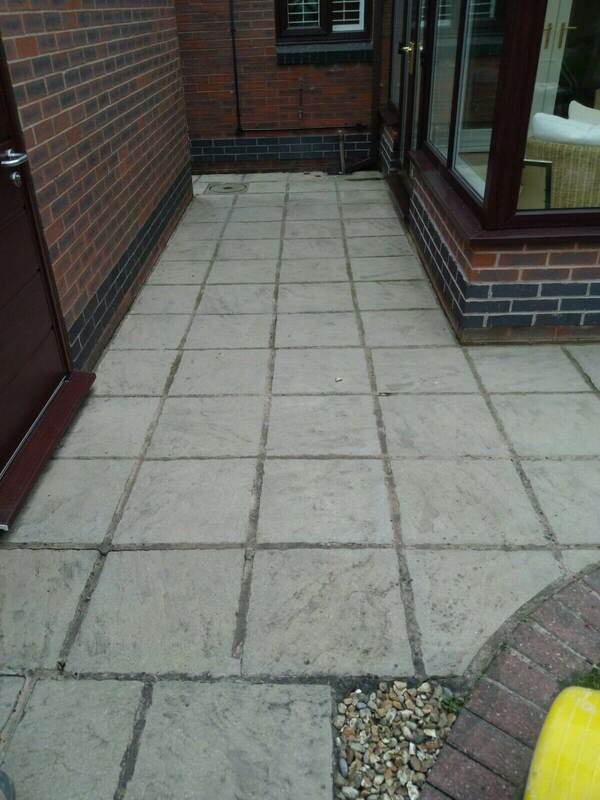 This patio was edged in Marshalls Symphony Vitrified to give the patio a perfect finish. 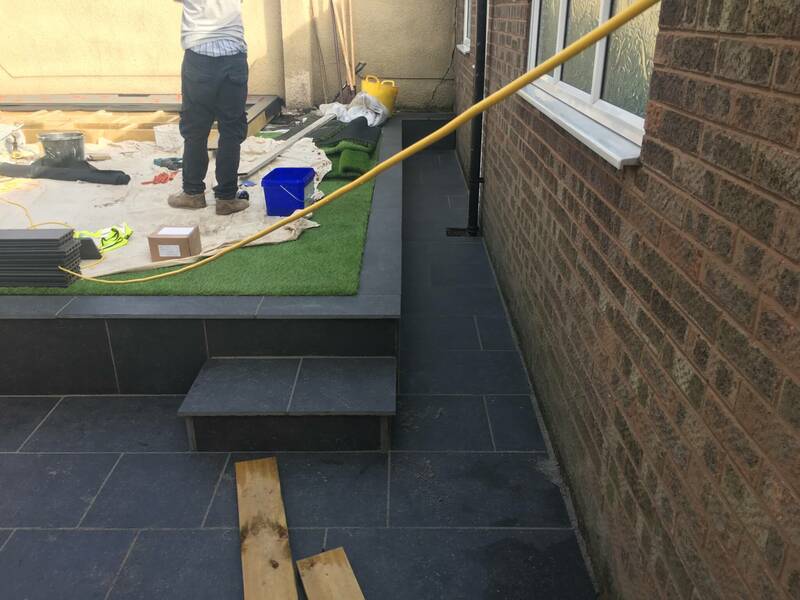 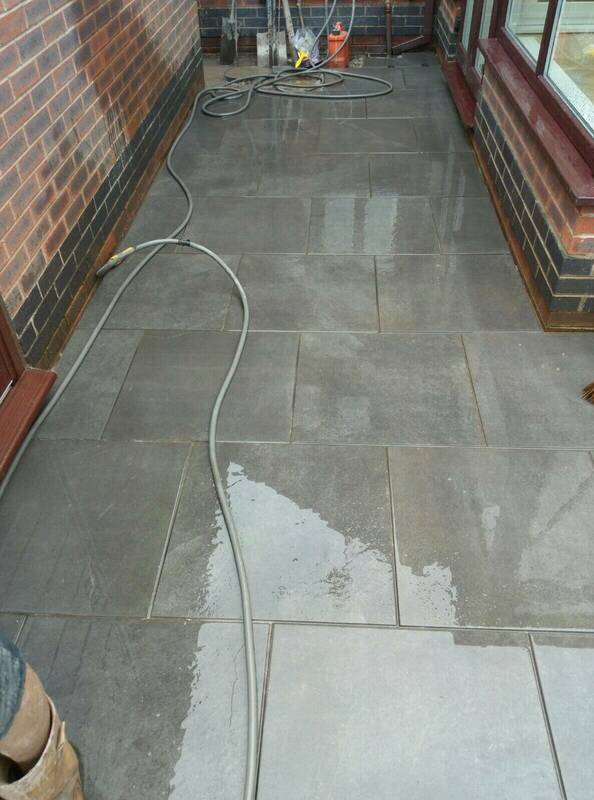 We also installed a linear drainage system to make sure that there is no build-up of rainwater on the patio. 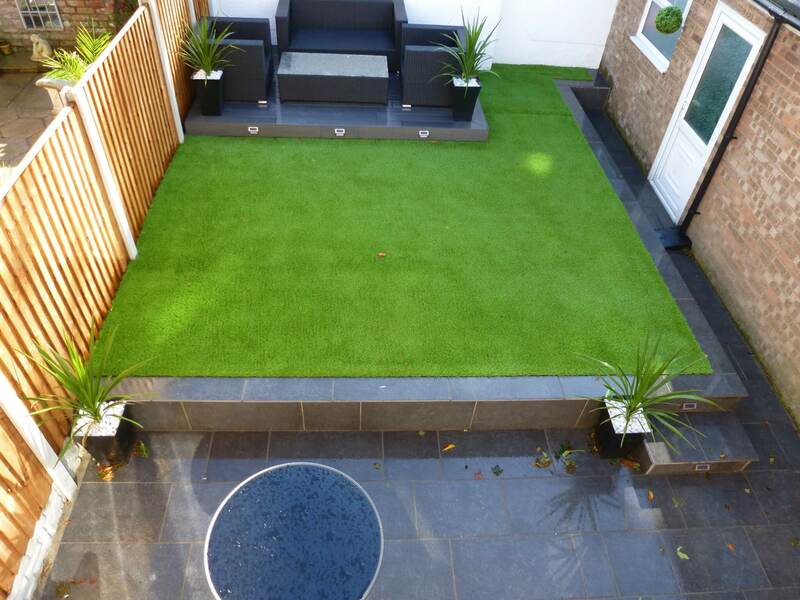 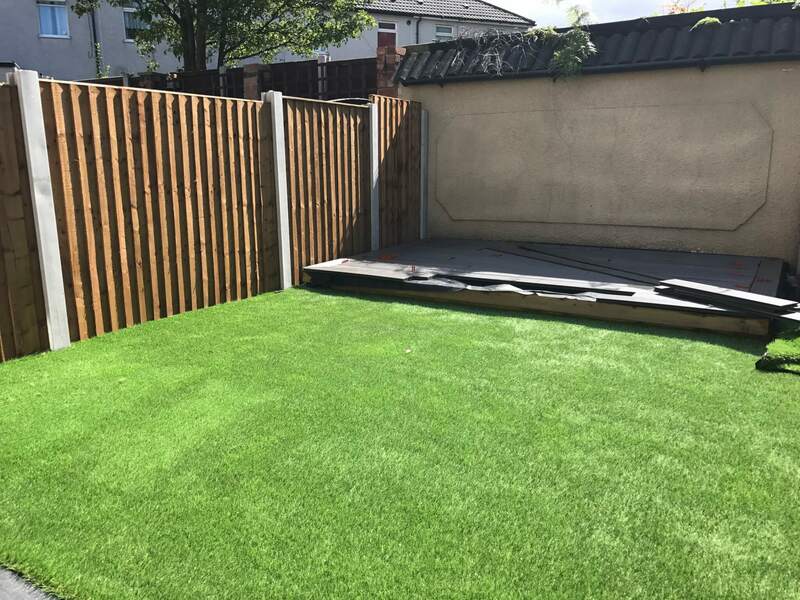 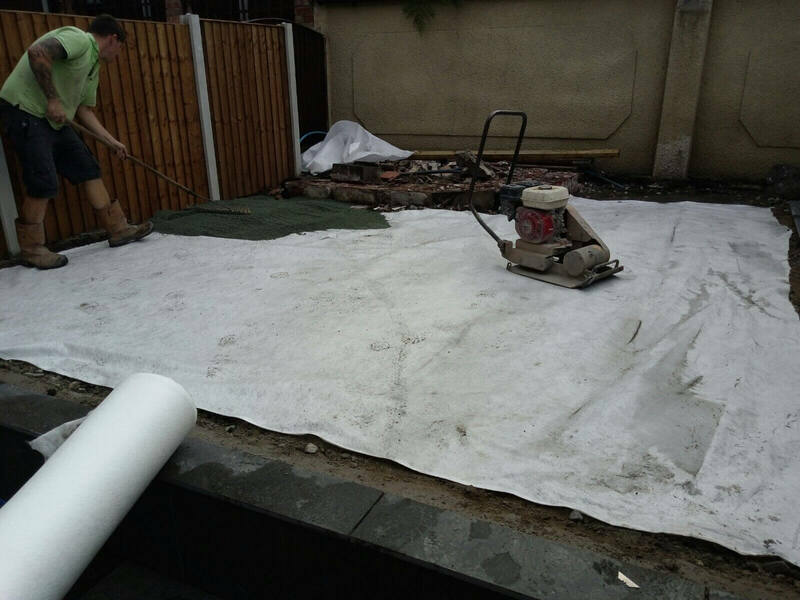 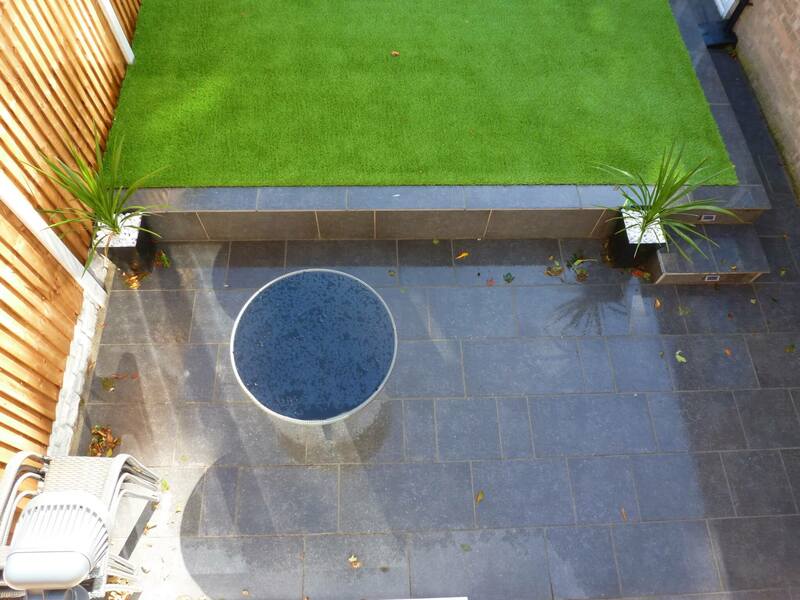 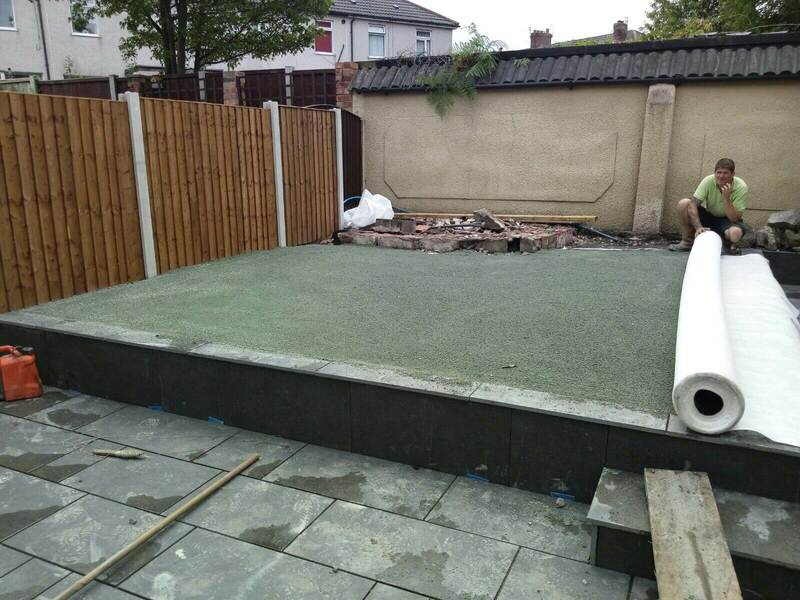 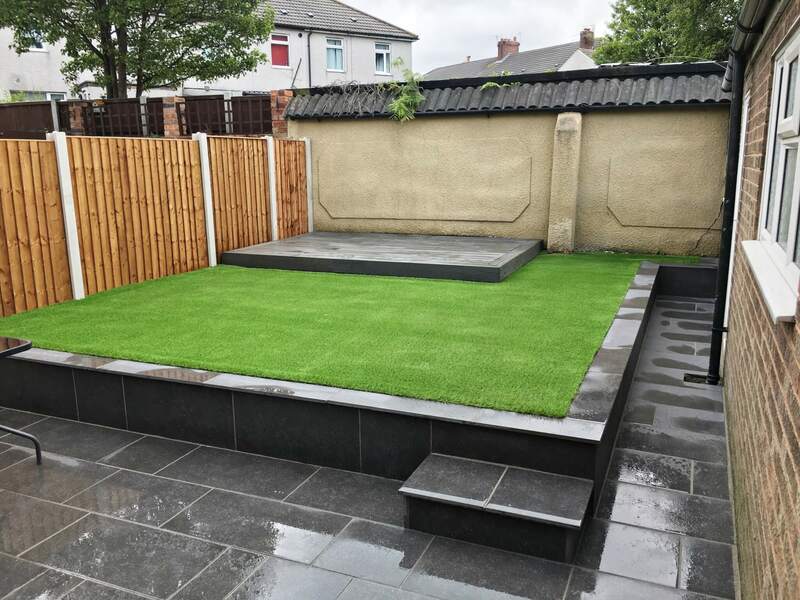 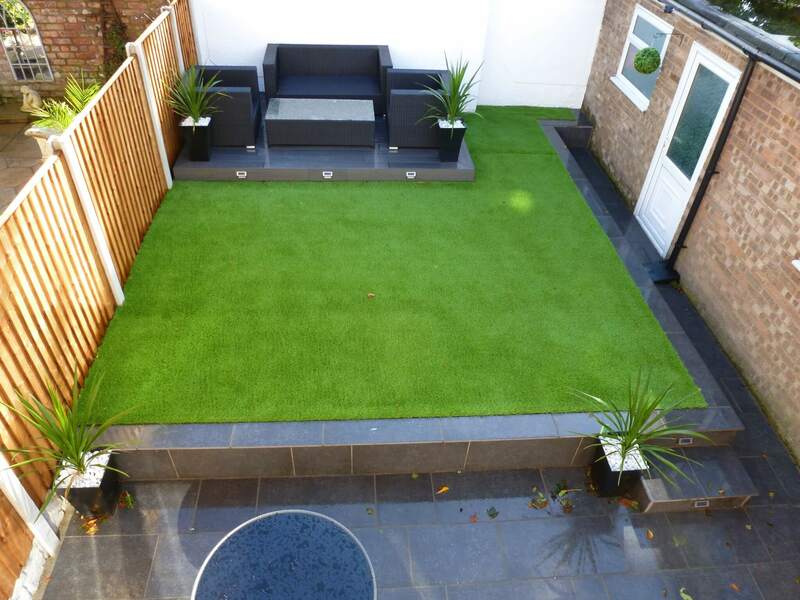 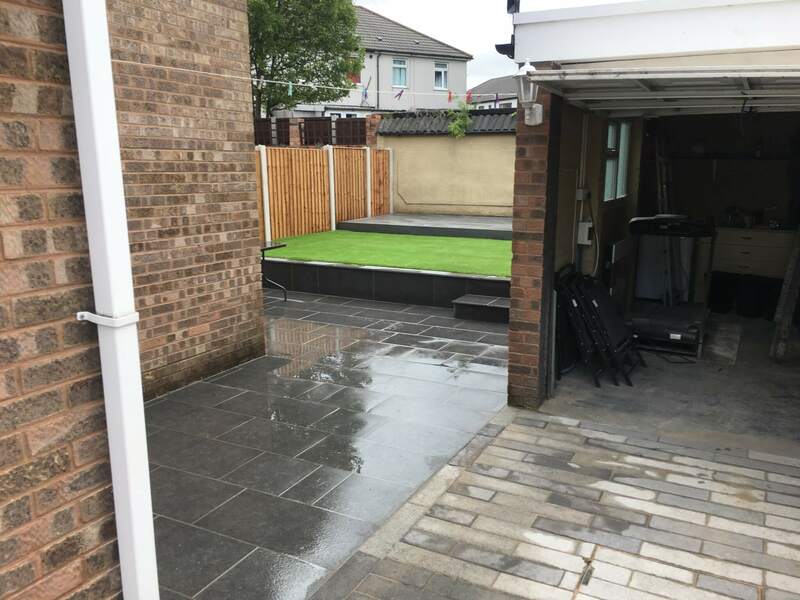 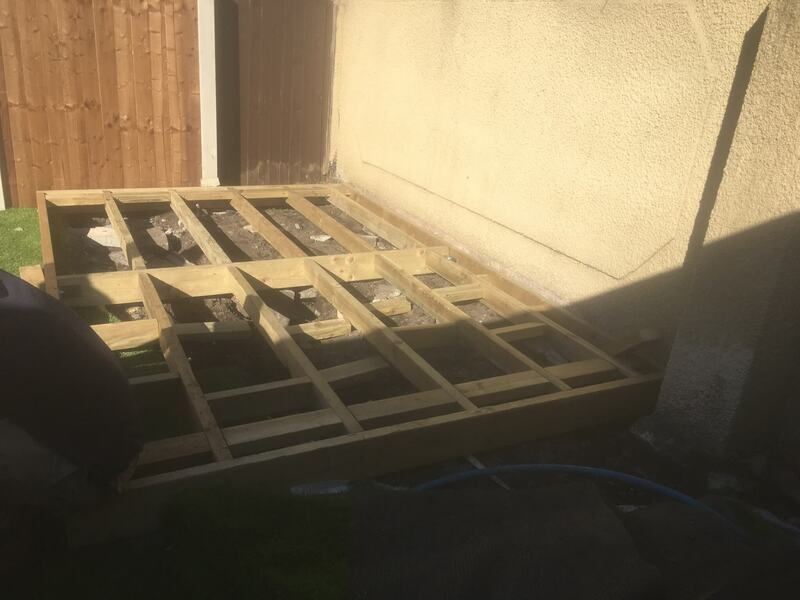 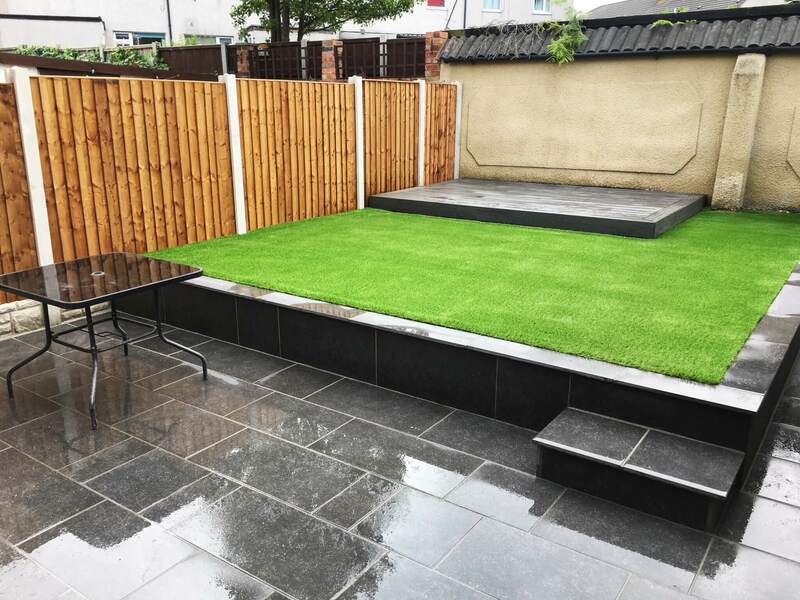 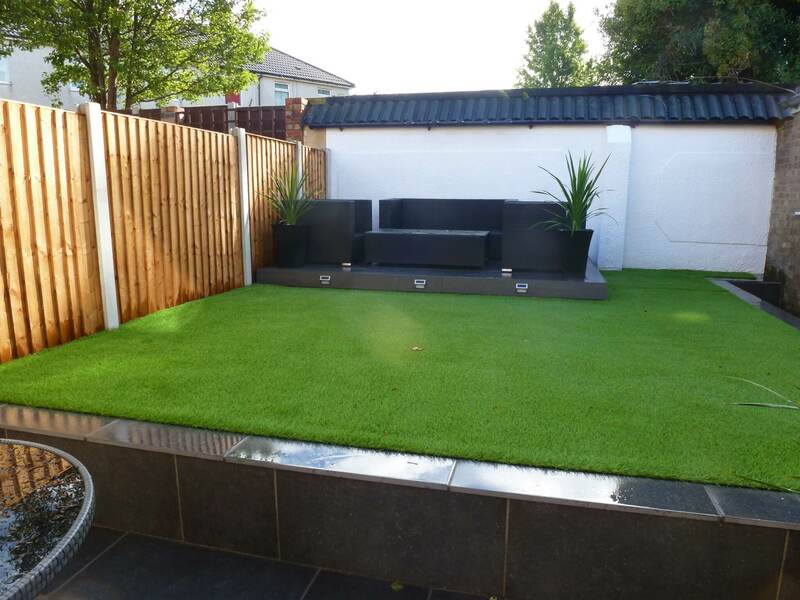 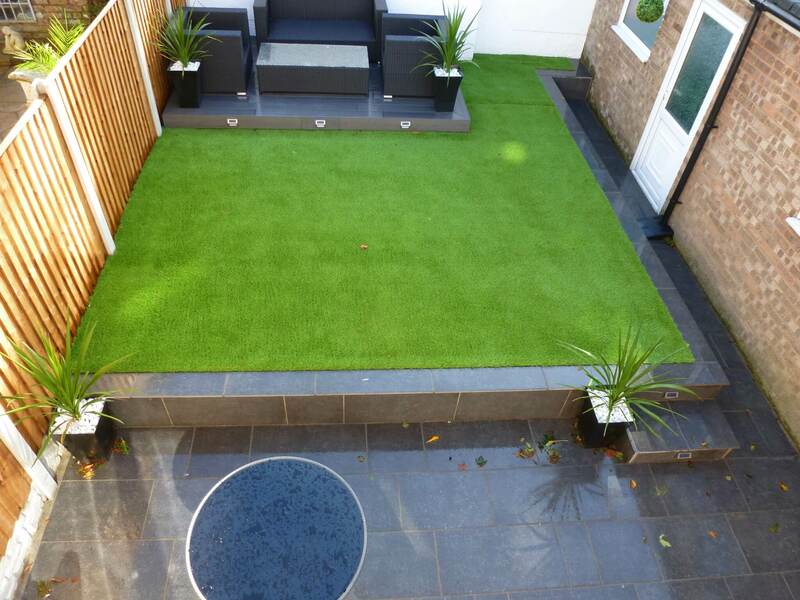 This landscape project was carried out in the Bootle area of Sefton, Merseyside.